An initiative by BCMA to overhaul their Halal certification process is attracting some eye balls. 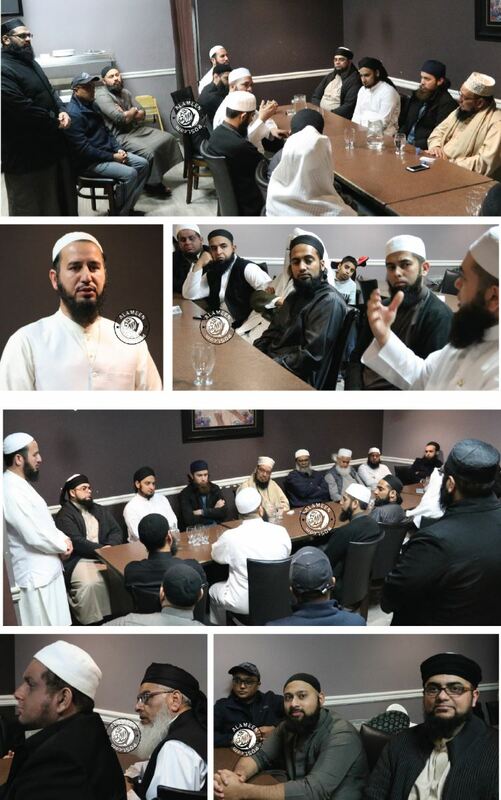 BCMA has been around for more than 50 years and has been part of the growth of the Muslim community in BC. 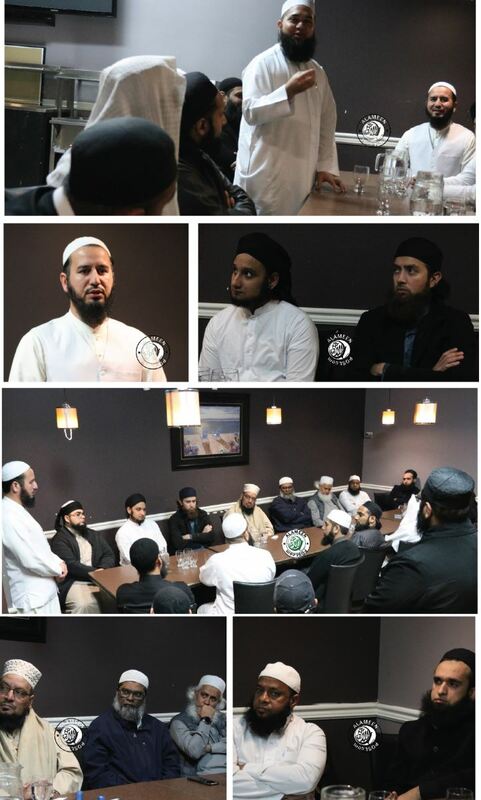 Among the services provided, their halal committee has been quite low profile all these years. Certifying wholesalers, slaughterhouses, halal butcher retailers and restaurants. After the Stephen Harper govt. Enacted laws for halal certification in 2014, Musa Ismail then President decided to make BCMA halal certification a priority. Since then Halal committee had been busy talking with consultants, lawyers and professional on how to best provide halal certification in light of the new laws. Br Iltaf Sahib since becoming president took this file as his priority and has now almost completed the process of policies and documentation needed to deliver the service. As of April 5,2016 all halal claims on food labels, packaging and advertising materials will need to be accompanied by the name of the organization or person that certified it as halal. This regulatory change supports a consistent approach to halal claims on food products in the Canadian marketplace. It provides Canadians with the information they need to make informed decisions and purchase the food that meets their needs. Halal claims on food are voluntary. However, if a halal claim is made on a product label, packaging or in advertising, then it must follow the regulatory requirements. The CFIA will take compliance and enforcement actions if the requirements are not met. 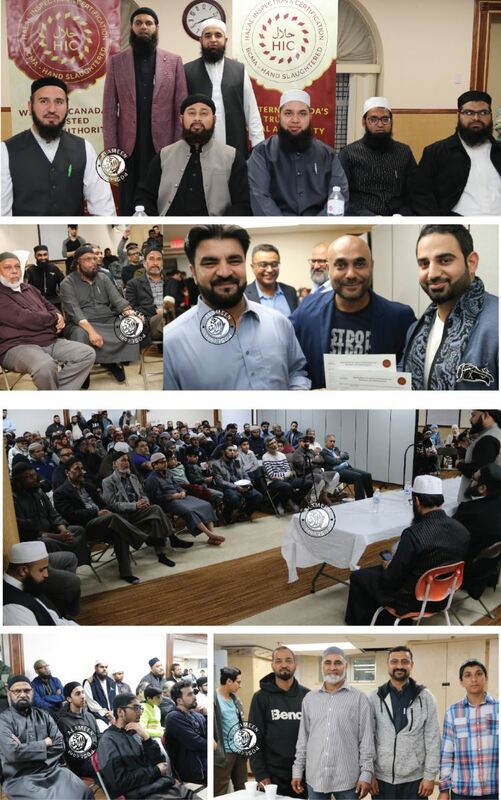 On April 12th Friday night, Imams of Vancouver gathered at Pakwan restaurant- the first to be certified, for dinner as a token of thanks to all the imams who has been spearheading this new program. Most prepackaged foods are required by regulation to carry a label with prescribed information. The label is an important and direct means of communicating product information between buyers and sellers. It is one of the primary means by which consumers differentiate between individual foods and brands to make informed purchasing decisions. The Canadian Food Inspection Agency’s Guide to Food Labelling and Advertising provides guidance regarding food labelling and advertising requirements, including guidance on the use of statements and claims applied to food labels. It is therefore a tool to assist industry in complying with applicable legislation and consumer protection. Food claims which adhere to these guidelines are considered to comply with the provisions set out in subsection 5(1) of the Food and Drugs Act (FDA) and section 7 of the Consumer Packaging and Labelling Act (CPLA). Subsection 5(1) of the FDA prohibits the labelling, packaging, treating, processing, selling or advertising of any food (at all levels of trade) in a manner that is false, misleading or deceptive to consumers. Section 7 of the CPLA contains provisions regarding the prevention of fraud and provides for mandatory label information with which consumers can make informed choices. These pieces of legislation allow the Canadian Food Inspection Agency (CFIA) to investigate complaints about false or misleading labels and to take appropriate action to bring about national compliance. Halal claims for food sold in Canada are also subject to the labelling requirements of the FDA and the CPLA and their respective regulations. According to the Codex Alimentarius, the term “halal” means permitted under Islamic law. (see footnote 2) The halal label on a food item would therefore suggest that the food item is permitted under Islamic law. 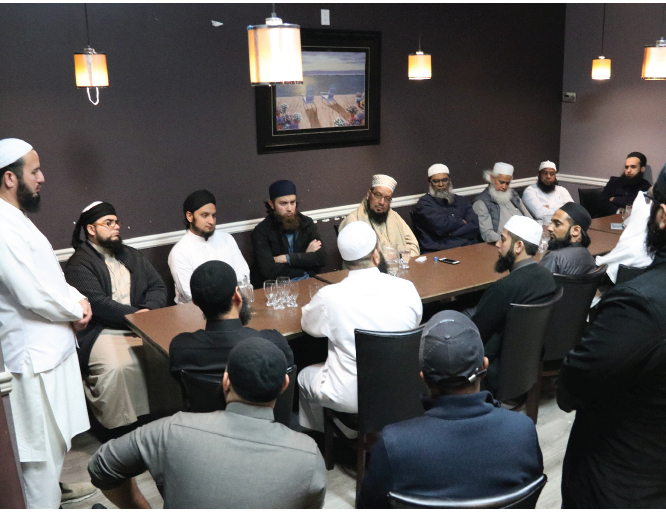 However, there are various interpretations of Islamic law which makes reaching a consensus amongst Canadian Muslims as to what constitutes halal difficult to achieve. The market for halal food products in Canada is estimated at $1 billion, catering to a consumer base dominated by Canada’s Muslim community (estimated at 1 million in 2006). At an annual growth rate of 13%, this population is expected to triple by 2031, accounting for 6.6% of Canada’s population. Consumer demand for halal food products is therefore expected to increase as well. Increasing demand for halal food products is accompanied by an increase in the number of businesses venturing into the halal food market as well as the number of products marketed as halal, as businesses aim to benefit from this thriving industry. Currently, it is difficult for consumers of halal food to make informed purchase decisions without knowing the standard used in certifying the food product as halal. Stakeholders want a more proactive approach that will assist in alleviating this situation. Government intervention in this matter is required to ensure consistent, accurate and appropriate label information on halal food so that consumers can make informed food choices. This regulatory amendment will assist in properly informing Canadians when choosing halal labelled foods by requiring that halal claims on food labels, packaging or advertising material are accompanied by an indication of the body that certified it as such. This regulatory amendment will not modify food safety requirements for foods labelled as halal. However, letting consumers know who certified the food as halal will enhance the information available to them in order to make informed choices. It will be up to the consumer to determine whether or not the certification requirements meet their expectations with regard to halal. The CFIA will not establish standards or requirements for what can be labelled as halal, nor will it establish requirements for becoming a certifying body. Apart from a few concerns, stakeholders have, in general, expressed support for this amendment. During an October 25, 2010, consultation meeting with key stakeholders in the Canadian food processing and distribution industry dealing with halal foods, as well as the Muslim community and religious groups, stakeholders clearly stated that their main concern was the inability to properly differentiate halal from non-halal foods in the market. Stakeholders stated that they would have ideally wanted halal regulated through a standard but do recognize that Government cannot take action to enforce a halal standard without consensus among the stakeholders themselves as to what constitutes halal. Most stakeholders however expressed their support for this amendment, which will specify the kind of information to be included on labels, packaging or advertising material, without addressing the issue of standards used to certify food as halal. The conclusion which emerged is that stakeholders must achieve a consensus among themselves as to what should constitute an acceptable standard for halal, before the CFIA can contemplate regulating through a standard. The amendments were prepublished in the Canada Gazette, Part I on June 1, 2013, followed by a 75-day comment period during which interested parties were invited to submit comments concerning the amendments. The CFIA received five written submissions from the following: a private citizen, a food manufacturer, an industry group (Retail Council of Canada), a provincial government and a marketing company. The CFIA has reviewed each of the submissions which, apart from a few concerns, are generally supportive of the amendments. Development of a halal standard and proper oversight of this standard: A large association of regulated stakeholders raised concern about the lack of a standard for halal. They believe that regulating halal without a federal standard will lead to increased confusion among consumers as to what is truly halal. While understanding the concern of this industry group, the CFIA is not in a position to develop a federal standard for halal given the lack of consensus amongst Muslims as to what constitutes halal (e.g. mechanical slaughter versus manual slaughter). This amendment, however, will accommodate all existing standards, by simply requiring that the certifying body be identified on the product so consumers can make informed decisions, based on their standard of choice, when buying halal products. Mandatory labelling of claims related to ritual slaughtering: The proponent indicated that all food products resulting from ritual slaughtering should be required to indicate that on the product. The current federal government approach regarding ritual slaughter is that such claims are voluntary, but when used must be truthful and not misleading. Clear text in the regulations that they apply to restaurant menus: The originator of the comment asked for a more explicit regulatory text which clearly states that the certifying body must also be identified on restaurant menus where halal food is served. The regulatory text speaks to claims on labels, packaging, and advertising material. The CFIA considers restaurant menus as advertising material; therefore, the concern is adequately covered by the regulatory text. Inclusion of company logo as an alternative to the name of the certifying body: It was suggested that company logos be allowed as an alternative method of identifying the certifying body on halal products. The intent of the amendment is to provide additional information to consumers so as to enable them to make informed decisions about the food they purchase. Some company logos may not be easily recognizable to all consumers which could limit the effectiveness of certifier identification as a means to enhance informed consumer decision making. Therefore, company logos alone are not sufficient but may be used in addition to the name of the certifying body. The “One-for-One” Rule does not apply to this proposal, as there is no change in administrative costs to business. The small business lens does not apply to this proposal, as there are insignificant costs on small business. Halal food consumers have expressed concerns about how difficult it is to make informed purchase decisions without knowing the standard used in certifying a food product as halal. Stakeholders want a more proactive approach that will assist in alleviating this situation. Government intervention in this matter is required to ensure consistent, accurate and appropriate label information on halal food so that consumers can make informed food choices. Canadian Muslims would ideally want the CFIA to establish regulatory controls over halal products through a standard. Regulating halal products through a standard is not feasible as there is currently no consensus among stakeholders on a common standard. The CFIA is therefore establishing regulatory requirements that will assist in providing consumers with sufficient information to choose their halal products based on what fits their definition of halal. Potential benefits include increased consumer confidence in halal-labelled products, fewer consumer complaints, increased demand for halal-claimed food products and increased demand for certifying services provided by halal certifying bodies. The benefits, which will improve the welfare of Canadians, outweigh the costs of the regulatory amendment. The enforcement of the proposed Regulations will be done through the CFIA’s current system of label verification and in response to complaints. The control of imported products will be done at the registered establishment level and importer level through the label verification process. The CFIA will verify that halal claims are accompanied by the name of the certifying body or person, or any supporting documentation to indicate as such. The CFIA will not assess or determine the suitability of the criteria used to certify the food product as halal.